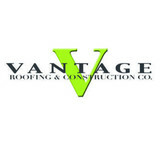 Vantage Roofing & Construction Co. Welcome to Core Contractors! We are Denver, Colorado’s premier roofing company. Our team of experienced contractors and roofers have been performing new roof installations, roofing maintenance and roof repairs since 2001. Our reputation is built on our history of excellence. We consistently deliver the highest quality roofing services available in Colorado, and we confidently stand behind our work. When we begin any project, we bring our years of experience in roofing, guttters and project management to the table for your benefit. Our clients receive a caliber of service that cannot be found elsewhere in the roofing industry. At Core Contractors, we have the roofing contractors, roofers and staff with the experience to make your next roofing project a breeze. We are dedicated to providing service with integrity, focus and compassion, and that is why we surpass the competition. All of the roofers and staff at Core Contractors are attentive to details to ensure every project is handled with the utmost care. Our work is a team effort, and every member on the team is accountable for the group’s success, and for your satisfaction. Hiring a roofer can be troublesome if you do not know what you are looking for. Some roofers want to sell you the ‘fast-and-cheap,’ hoping to make a quick sale and get away with less-than-stellar workmanship. At Core Contractors, we will give you accurate estimates on all roofing services to help you determine the best course of action before we complete any work. Have you been dealing with a leak in your roof, or missing shingles from the last storm? Core Contractors has the know-how and experience to take care of all your roofing woes. If you want to learn more about our commitment to customer service, or are interested in a quote for a new roof or roof repairs, call us at: 303-997-1559. 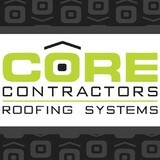 Thank you for visiting Core Contractors! Formula Roofing and Remodeling is a family-owned and operated Denver roofing company, serving Colorado with uncompromising dedication to high-quality workmanship, personal customer service, and unmatched warranty protection. In 2013 Formula Roofing and Remodeling acquired Custom Tile Roofing, a company with nationally recognized expertise in all manner of historic and modern tile roofing installation and restoration techniques, serving Colorado and beyond since 1981. 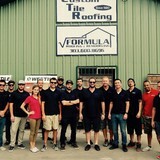 Formula Roofing currently operates one of the largest and most varied tile roofing inventories in the country, making our company an invaluable resource for contractors, homeowners and insurance agents. Formula Roofing is a certified Master Elite Contractor with GAF, North America’s largest shingle manufacturer. This distinction, bestowed upon only 3% of Colorado’s Roofing companies, allows Formula Roofing to offer the most comprehensive warranty in the industry, the Golden Pledge, in addition to the System Plus Lifetime Warranty. Our team receives comprehensive training in all facets of the roofing and remodeling process. Your personal project manager will provide an assessment of your property free of charge, outline the proposed scope of the project, oversee installation on site, and, when applicable, work with your insurance company to ensure all aspects of your home are covered by your insurance allowance. Endeavor Exteriors is leading the way in residential and commercial exterior restoration services. With a full service team of professionals and over 50 combined years of experience, there is no job too large or small for our team to handle. You should expect the absolute best service imaginable when you contract with Endeavor Exteriors and our estimates and consultations are always free. Northern Lights Exteriors is a full-service exterior remodeling contractor offering roofing, siding, replacement windows, gutters, house painting, and much more to home and business owners across Colorado. Simply put - we believe "It's What's On the Outside That Counts!" The main differentiators we have over the competitors is our CORE VALUES of Communication and Transparency, our dedication to meticulous workmanship, and our ability to be the only contractor you need to hire for anything on the outside of your box! We know that one of the biggest pain points for clients during a construction project is knowing where you are in the build process. Because of this, Northern Lights Exteriors designed and created proprietary software that allows you to access project information on-demand via a customized portal for your job. We guarantee you won't feel "out of the loop" - because you will always have a place to visually see the schedule, notes, delivery status', payments owed, and contract details. We invest in our teams and crews and provide annual education courses to stay up to date on the best practices for warranty install requirements and other new product offerings. 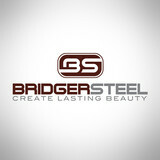 As a company we offer a wide range of options that will fit the needs of most design or budget ideas. From roofing products that will range between "keep you dry" to Storm and Impact Resistant products, as well as James Hardie Siding to vinyl - we will be able to find what's best for our clients without "pushing" you one-way or another. By having one contractor service all your property needs, it allows you to get a better deal and work more efficiently and handle all the details of your project from ONE SOURCE. With all of these great benefits, it’s no wonder Northern Lights Exteriors has become one of Denver’s elite exterior remodeling contractors. The Denver branch of Premier Roofing is dedicated to serving the restoration roofing needs of single-family homeowners and multi-family communities in the area. When hail or wind causes damage to roofs in our area, we go to the impacted neighborhoods to help homeowners get their roofs restored as quickly as possible. We work with all insurance companies, ensuring the only out of pocket cost to homeowners is their deductible. We are proud to provide quality craftsmanship, straight talk, great customer service and the best workmanship and material warranties in the industry. Price Home Improvement is locally owned and operated and has been providing quality service for the entire Denver Metro Area since 2007. Originally specializing in window replacements, Price Home Improvement soon became committed to helping homeowners complete a variety of home improvement projects. With quality, reliability and honesty as the cornerstones of its business, Price Home Improvement gives each and every customer the best customer service possible, unparalleled in the industry. With an A Rating through the Better Business Bureau, Price Home Improvement’s reputation has been established by extremely satisfied customers who often call back for additional projects. Owner Wayne Price set out to create his contracting company over six years ago with the customer in mind and has never faltered. Today, along with his extremely experienced staff of contractors, Price Home Improvement is really Denver’s Premiere Home Improvement Company! Excel Roofing Inc. has been a leader in the roofing industry here in the greater Denver and surrounding areas for 18 years! We are the company that Tom Martino uses for his own homes and we have been a proud member of the Trouble Shooter network since day one! Our expert project managers will be with you from start to finish-easing the stress of re-roofing and making sure your answers are just a phone call away. Excel Roofing Inc. takes pride in our ability to reroof your home with no money up front- no money at all , until you are satisfied with the job! Who else does that? We are experts in insurance claims as well! Give us a call when you are ready to experience the very best! Colorado Seamless Gutters is a locally owned, family run business that has been installing the best gutter systems on Colorado's Front Range since 1982. We have a wide variety of available sizes and styles of gutter, as well as a full service sheet metal shop and the experienced installation professionals to take care of any project. Since 1979, Conifer Gutter Service has promised to provide only the best products on the market, installed by our own employees. Whether you are shopping for our Seamless Gutters, Leaf and Needle Guards, De-Icing Heat Cables, or Snow Stops, you will find the highest quality materials professionally installed at reasonable prices here at Conifer Gutter Service. -We treat you like a neighbor – after all, that’s who you are! -We give you complete information and an exact price bid, free and without obligation. -We call to confirm scheduling or to let you know if there is any delay. -We are fully insured and Better Business Bureau members. -We use only the finest quality materials. -Our installers are experienced employees – not subcontractors. -We do what we said we’d do, when we said we’d do it, for the exact price we quoted. -We never ask for payment until all work is completed to your satisfaction. -We warrant our work. -We realize we are human – if we make a mistake, we are happy to correct it promptly. Our goal is for you to be more than happy you asked us to come and work for you. In business since 2014, Talon Restoration is one of the fastest growing roofing companies in the Metro area. Together, our team has decades of experience and thousands of roofs under our belts. We take the time to inspect each opportunity and understand that each roof and situation is different. Building a new roof can be overwhelming, and you may have many questions. We’ll talk you through the entire process. In fact, we pride ourselves on being completely transparent with every roof we construct. Our goal is for you to see that we are a different type of roofing company that likes to treat you as we’d like to be treated ourselves. We are a company that believes in quality and customer service offering these with honesty and integrity as our top priority! There is always someone on the job to ensure quality, safety and proper cleanup and customer satisfaction! 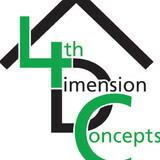 A Green Roof and Specialty Exterior design, build, consultant, and maintenance company. Green Roofs of Colorado is a commercial and residential green roof design, installation, maintenance, material, and consultation company founded in 2006. We provide materials, design, and installation of high quality green roofs that protect the roof and surrounding environments, and our maintenance programs allow the vegetation to thrive. We have completed jobs in throughout Colorado. Some of our premier jobs include Denver Botanic Gardens, Clyfford Still Museum, and Anschutz Health and Wellness Center green roofs. We consult and give presentations to design, construction, and policy professionals about the design, installation, and benefits of green roofs throughout North America. Green Roofs provide numerous public and private benefits including mitigation of storm water and reduction of Urban Heat Island Effect. They also increase energy efficiency, biodiversity, aesthetic value, roof life, and property value (existing and surrounding properties). Professional and friendly staff Experienced New Construction Roofers Experienced Roof Replacement teams Dual quality control and an inspection checklist Damage Assessors are trained and certified to meet your roofing needs and work closely with your insurance company Workmanship warranty We are committed to a trusted relationship that supports your roofing needs now or when you are most vulnerable during a storm or other major catastrophe We are a local professional roofing company serving the Denver Metro area, Colorado Springs, Pueblo, Longmont, Fort Collins, and any town within 75 miles of Denver. Our promise to you! Your home is your foundation for your hopes, your dreams and your family memories. Roofs and gutters are two home elements that, when they do their job, go unnoticed. But when they malfunction, they make their presence known in a hurry — that’s where knowing a good Commerce City roofer comes in handy. Hire the right roofing company in Commerce City, CO to install, repair and maintain your roof and gutters, and you’ll ensure that these essentials perform at their peak. What do roofing companies in Commerce City, CO do? Your Commerce City, CO roofing contractor can install a new roof or repair an old one, as well as repair and replace gutters. Good roofers in Commerce City, CO should be able to promptly inspect roofs and gutters to assess damage after a natural disaster or other event, and give you an estimate for the necessary roof repair immediately. Some Commerce City roofing companies specialize in specific types of roofs, such as tile or metal, so make sure the one you are interested in works with the materials you have or desire. Find a Commerce City roofer on Houzz. Narrow your search in the Professionals section of the website to roofing companies in Commerce City, CO. If you’re planning a large-scale project, find other professionals on Houzz who can help get the job done. Here are some related professionals and vendors to complement the work of roofing & gutters: General Contractors, Specialty Contractors, Siding & Exteriors, Door Sales & Installation, Garage Door Sales & Installation.